We woke yet to another breakfast buffet (Yes we were eating again !!!) 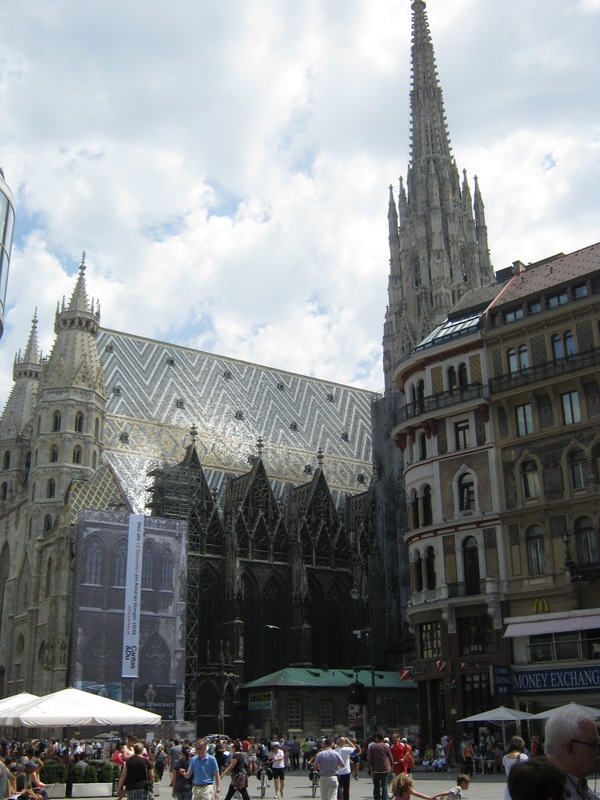 After a hearty breakfast we boarded our coaches for a bus and walking tour of the beautiful city of Vienna (population 1.5 million people). 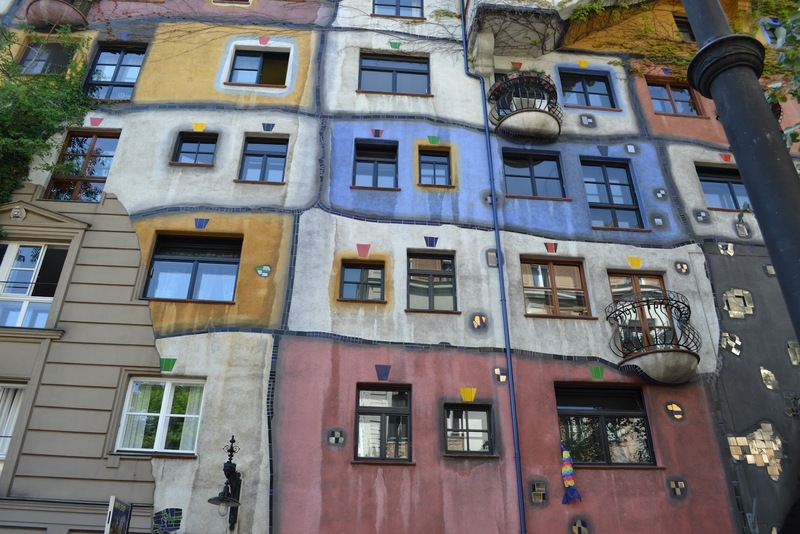 We viewed the grand buildings on the Ringstrasse, the colorful facade of Hundert Wasser village, the maginificent Hofburg Palace, St. Stephen's Cathedral with its soaring spire (located in the centre of Vienna) and Figarohaus (where Mozart lived when he composed Marriage of Figaro). 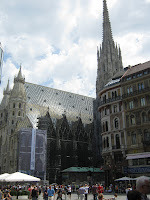 Later that day we toured the Vienna State Opera House, the soul of Vienna. We were treated to a guided tour of this wonderful building which was originally opened in 1869 with the performance of Mozart's Don Giovanni. We were able to have a glimpse of backstage where many great performers have walked before. 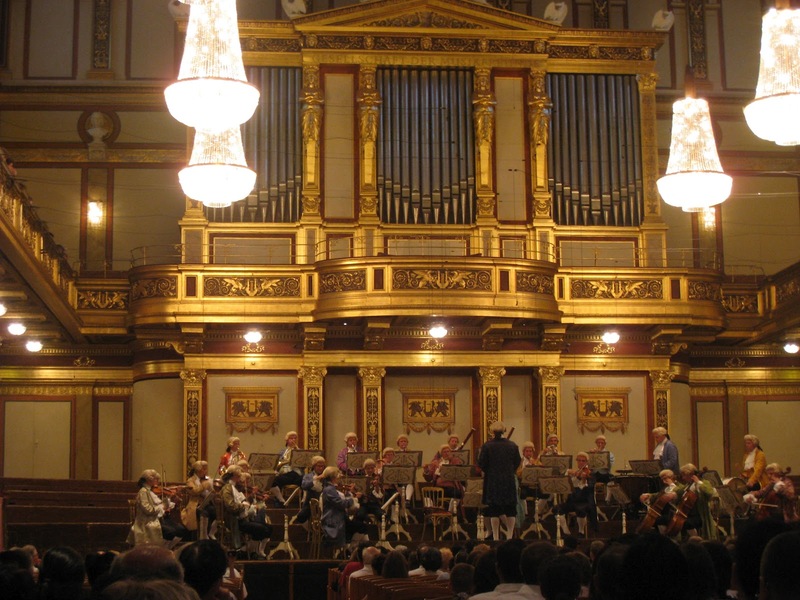 In the evening we were treated to a performance of the Vienna Mozart Orchestra in the magnificent Golden Hall. 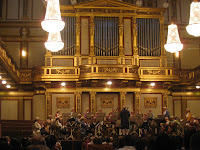 The orchestra performed in historical costumes of Mozart's era. Much to our delight, in such a formal setting, the audience was engaged from the direction of the conductor. We were clapping in time to Mozart and Strauss.... unbelievable and most enjoyable. This conductor had the audience participating very much like our own Valerie Long. Home to bed and looking forward to our next day.